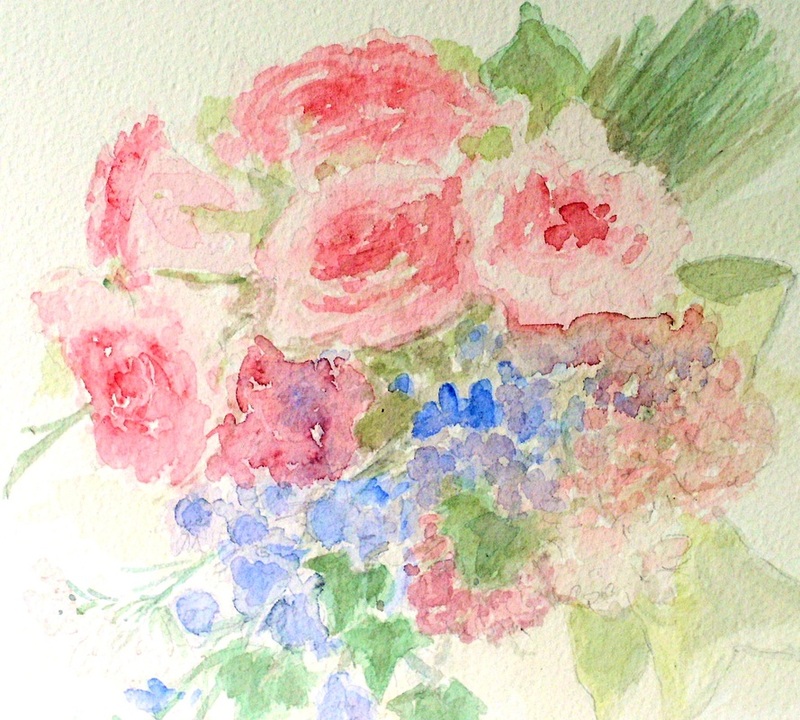 Nature Art Cottage Garden Bouquet Botanical Watercolor Original Art by Laurie Rohner. 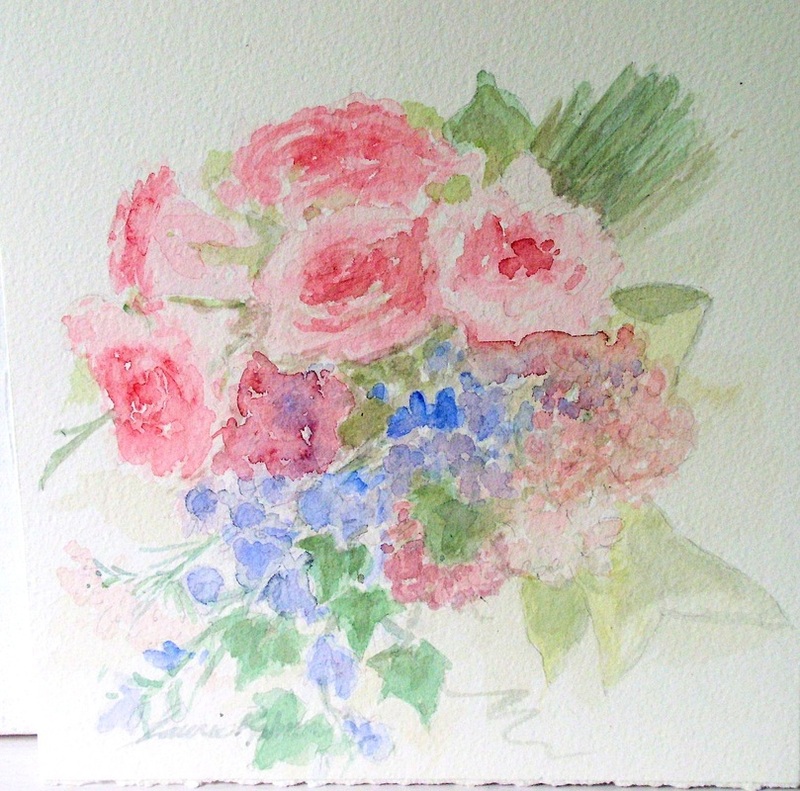 A cottage garden bouquet botanical watercolor nature art original painting by Laurie Rohner is a great gift for birthdays anniversaries and new brides. The bouquet is filled with petal pink roses and misty blues and greens with soft hydrangea and tucked in delphinium all wrapped up with a soft golden green ribbon. This is a romantic feeling painting. 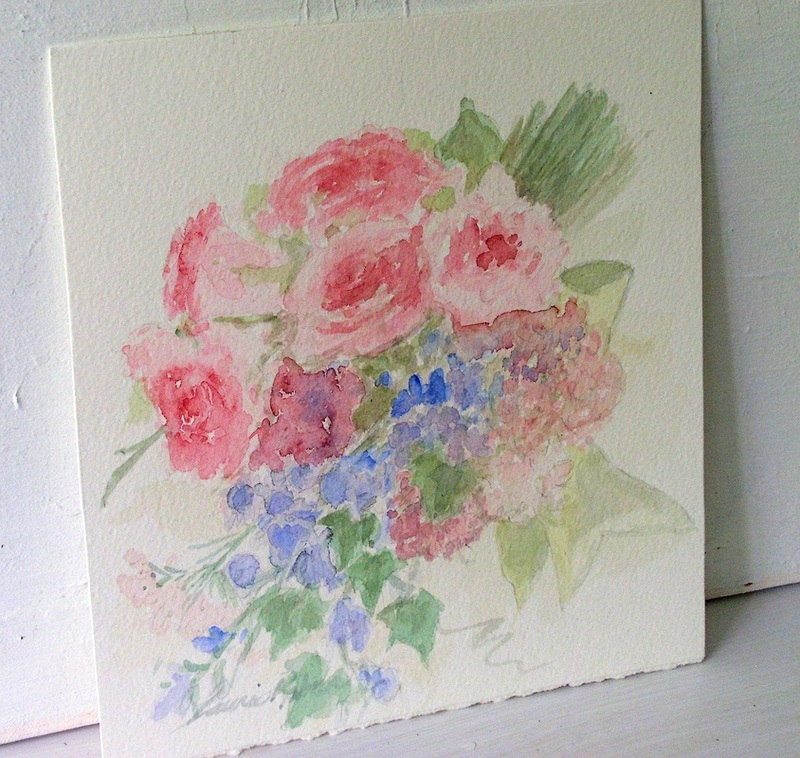 Very cottage chic and farmhouse inspired botanical garden painting. 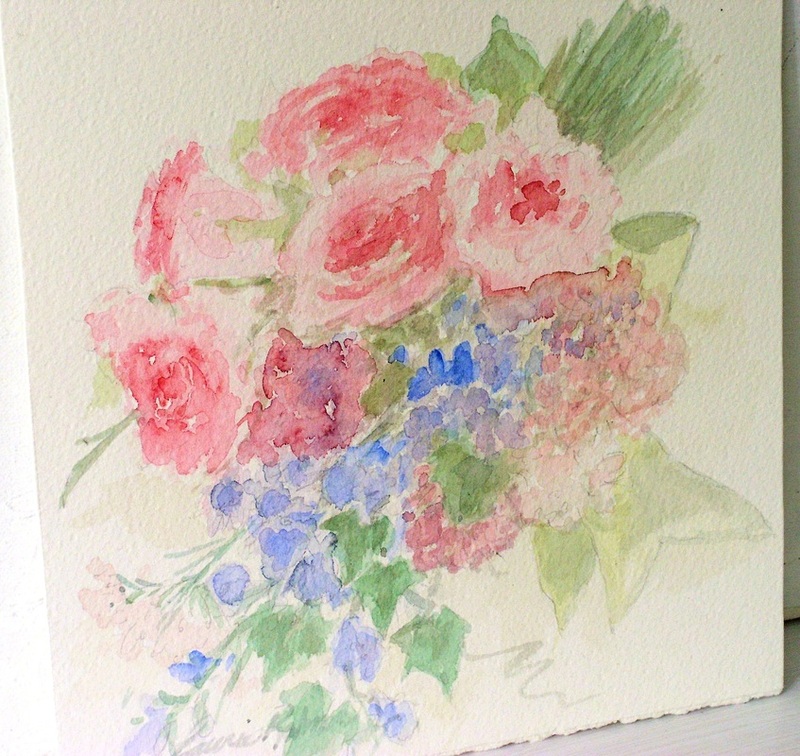 Palette: soft green, blues, pinks, golden yellow, cream. Paper size is 8.5" x 8".